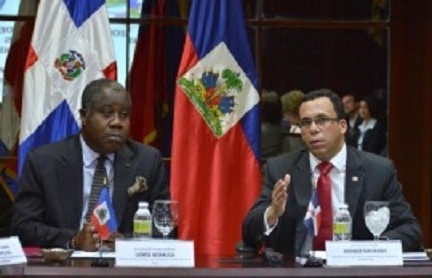 Santo Domingo.- The young Haitian people who study in Dominican universities to become professionals should return to their country as soon as they graduate to contribute the knowledge acquired to their development, said Haitian Embassy commercial attaché Miousemine Celestin. The diplomat spoke in the cycle of conferences “Youth and entrepreneurship,” sponsored in Santiago and Santo Domingo by the organization Salvando a Haiti (Napsa), to support a better adaptation and development of its immigrants in the country. The activity also featured Haitian-American entrepreneur Johnson Napoleon, who said that in the Dominican Republic “there aren’t just compatriots begging for handouts in the streets or cane cutters in the bateyes (cane cutter villages)” but thousands of his compatriots are students and professionals instead.